Last year for the month of February, some wonderful writers contributed their thoughts to my series entitled Showing Love. They opened up their hearts and shared a difficult or unique circumstance they were facing, and then offered suggestions of how friends could best show them love while in the midst of that circumstance. I loved reading the posts and it seems many others did as well. So, as a result of that warm reception, this February 2014 will hold another series of guest posts on this topic of showing love. Some really wonderful women have already agreed to participate, and I'm so excited to share with you what they have written, starting tomorrow and running all through the month. 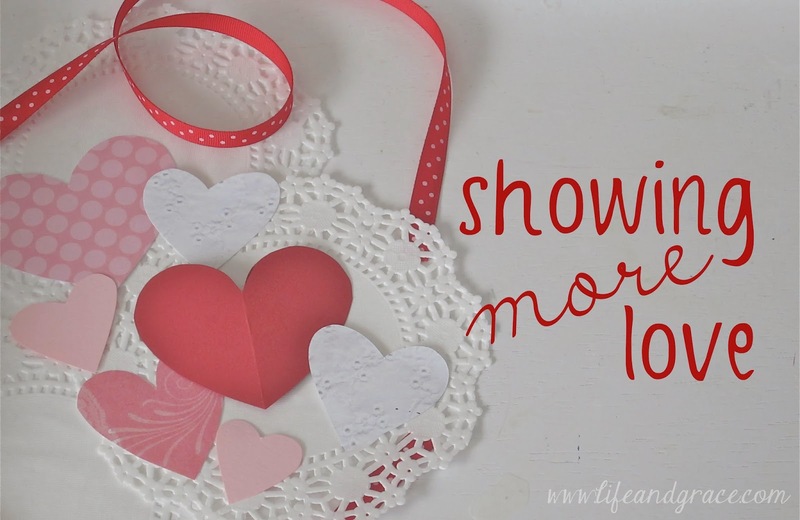 I hope you'll find helpful and practical suggestions for how to show those around you even more love.